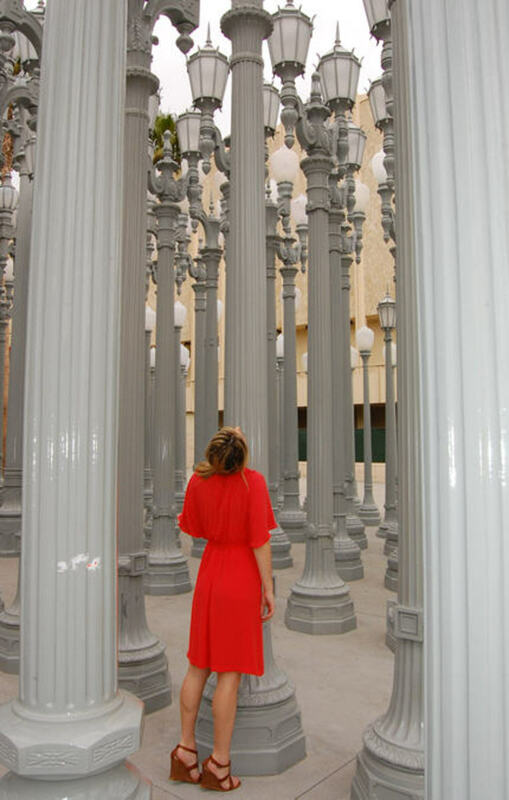 A year after Chris Burden&apos;s Urban Light installation went up at the LACMA, I finally got a chance to swing around on the 202 vintage lamp posts this Sunday. Though the weather was overcast, I decided to lighten things up by throwing on my new tangerine colored dress, which I bought specifically for my upcoming trip to Hawaii. Patience has never been my strong suit.